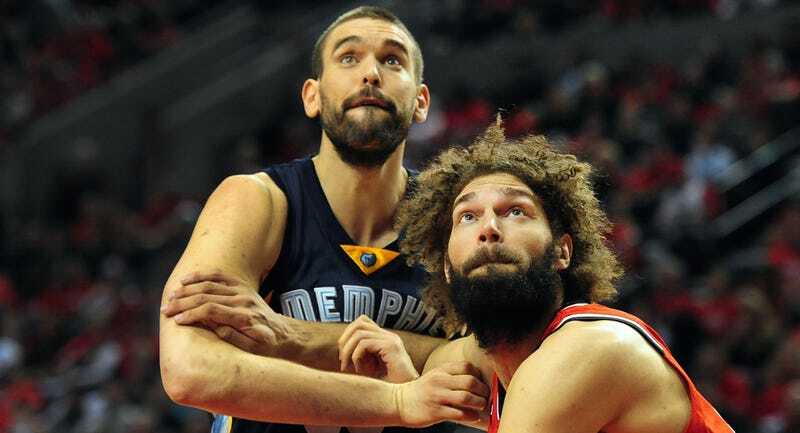 In the first round of last season’s Western Conference playoffs, the 51-31 Portland Trail Blazers were the 4th seed, while the the 55-27 Memphis Grizzlies were the 5th seed. Yet, despite being the higher seed, Portland started the playoffs on the road. It was the result of the NBA’s awkward playoff seeding rules, which placed each of the three division winners as one of the top four seeds in the conference, but settled home court advantage by record, not seed. The NBA announced Tuesday that, going forward, the top eight teams in each conference will be seeded for the playoffs based solely upon record, eliminating any advantage for winning a division. This was a logical change for the NBA to make, especially considering some divisions (like the Southwest one, with the Spurs, Rockets, Mavericks, Pelicans, and Grizzlies) are so ludicrously overpowered that they regularly have multiple teams finish with better records than one of the other division winners. While the NBA didn’t mention anything of the sort, it’s a good bet that this change is a step towards eliminating divisions altogether. Without any playoff seeding advantage, the only difference between divisions now is the schedule they play, and only slightly. Each team shares at least 74 of 82 games with the teams in its conference. Division are arcane, leftover from when teams flew coach and regional rivalries really mattered. The fun question is whether or not the NBA should eliminate conferences. I say yes! Teams are already flying all across the country, and the NBA has repeatedly said that it would like an entire division based in Europe one day; clearly they think the players can deal with additional travel. During the “Western” Conference playoffs this year, the NBA champion Golden State Warriors beat teams in New Orleans, Memphis, and Houston. If you check out a map, you’ll see that those teams are all much closer to the East Coast than West. Eliminating conferences also eliminates travesties like having to watch the 38-44 Nets in the playoffs instead of the Russ Westbrook-led Thunder.